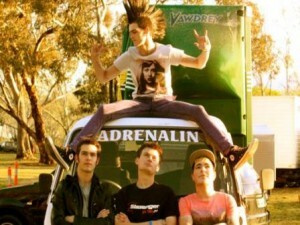 Adrenalin describe themselves as rock and are a High energy band, originally from Dubbo, with some members now based in Canberra. They disrobe their sounds like: Rage Against The Machine, Red Hot Chilli Peppers, Audioslave and are influenced by RATM, Jimi Hendrix, Red Hot Chilli Peppers. Find “Adrenalin” on facebook and press “Like”. Aussies United is here to put on events for kids and help them enjoy life and learn a musical talent. For every $200 donated Aussies united gives 1 guitar to a child to help them start a muscial career.